The grapes are sourced from family owned vineyards in Serralunga d’Alba (Ornato), Grinzane Cavour (Gustava), La Morra (Roncaglie) and Barolo -Novello (Ravera). 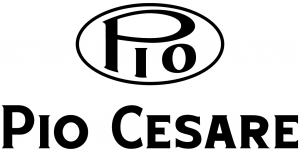 The balance of the grapes comes from other exclusive vineyards owned by growers, who have been providing grapes to the Pio Cesare family for generations. The grapes are hand-picked, then gently pressed and fermented at 25° to 26° C. Vinification takes place in stainless steel tanks, with skin contact for 20-25 days. The wine is then aged in mid-toasted French oak for three years: 70% in 20 to 50 hectolitre casks; 30% in barriques. Heavy snow in the winter built up ground water reserves significantly. Warm and dry conditions in May and June ensured a perfect fruit set, accounting for good yields. These reserves were vital over the summer, avoiding potential any hydric stress due to an almost total lack of rain and the intense heat. Some rain in early September gave the vines enough water to ripen well. The 2009 Barolos are forward with lifted perfumes and good balance and richness.